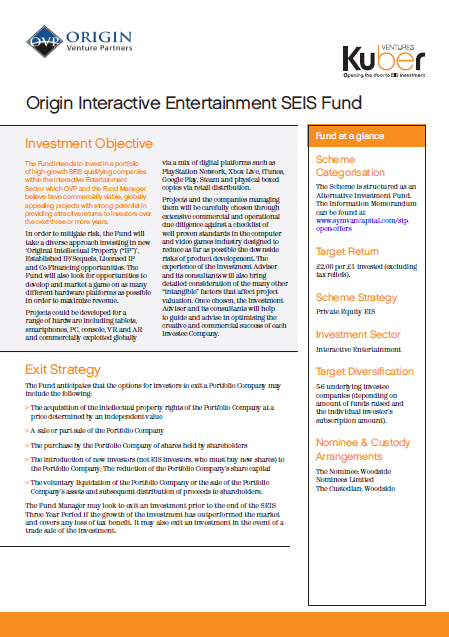 The Fund intends to invest in a portfolio of high-growth SEIS qualifying companies within the Interactive Entertainment Sector which OVP and the Fund Manager believe have commercially viable, globally appealing projects with strong potential in providing attractive returns to investors over the next three or more years. In order to mitigate risk, the Fund will take a diverse approach investing in new ‘Original Intellectual Property (“IP”)’, Established IP/Sequels, Licensed IP and Co-Financing opportunities. The Fund will also look for opportunities to develop and market a game on as many different hardware platforms as possible in order to maximize revenue. Projects could be developed for a range of hardware including tablets, smartphones, PC, console, VR and AR and commercially exploited globally via a mix of digital platforms such as PlayStation Network, Xbox Live, iTunes, Google Play, Steam and physical boxed copies via retail distribution. Projects and the companies managing them will be carefully chosen through extensive commercial and operational due diligence against a checklist of well proven standards in the computer and video games industry designed to reduce as far as possible the downside risks of product development. The experience of the Investment Adviser and its consultants will also bring detailed consideration of the many other “intangible” factors that affect project valuation. Once chosen, the Investment Adviser and its consultants will help to guide and advise in optimising the creative and commercial success of each Investee Company. The voluntary liquidation of the Portfolio Company or the sale of the Portfolio Company’s assets and subsequent distribution of proceeds to shareholders. The Fund Manager may look to exit an investment prior to the end of the SEIS Three Year Period if the growth of the investment has outperformed the market and covers any loss of tax benefit. It may also exit an investment in the event of a trade sale of the investment. 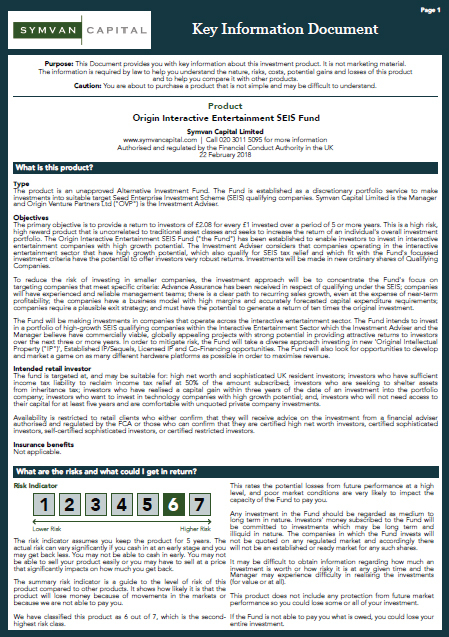 Symvan Capital Limited (“Symvan”) is a UK provider of tax efficient investment solutions and a Fund Adviser to funds investing in dynamic technology companies. Symvan Capital was established in 2013 and the sister company - Symvan Securities - is a corporate finance advisory firm which has been working with technology companies since 2010. 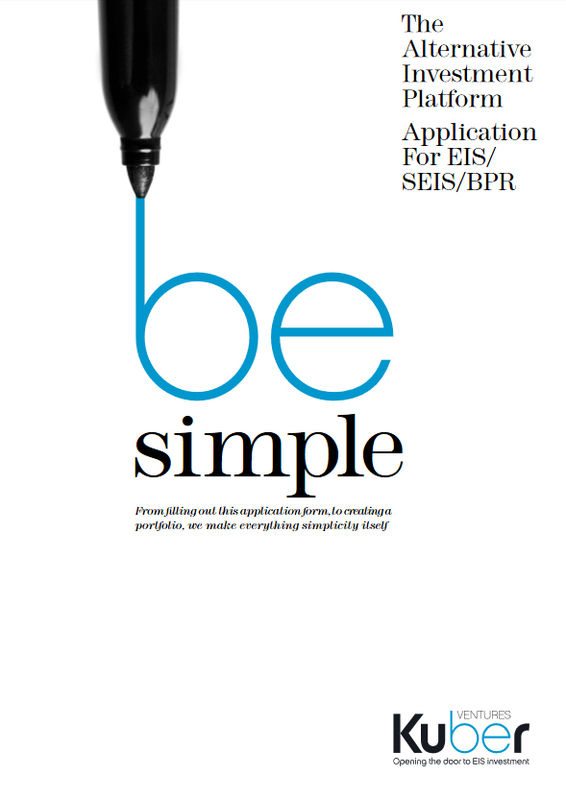 The Symvan Group distinguishes itself through its deep ‘life-cycle’ approach to identifying and nurturing the potential technology stars of the future, whereby Symvan’s SEIS funds ‘seed’ a business, followed by an angel round of financing and further investment through Symvan’s EIS funds. 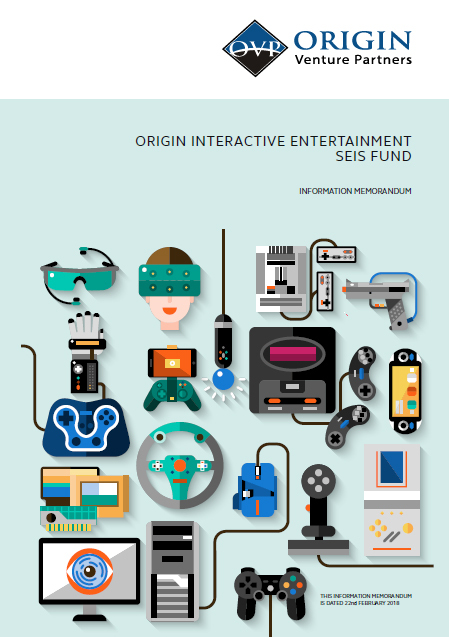 Origin Venture Partners specialise in providing finance, business strategy, production, auditing and evaluation services to the interactive entertainment industry. The OVP team is run and managed by experienced sector specialists with a variety of relevant and highly credible backgrounds that span computer and video games, film, television and media financing, business strategy and production experience. This combined experience provides an efficient commercial team for selecting and accelerating companies in the video games and related technology sectors. Together the partners have been involved in over 200 released titles. They have worked with some of the largest franchises in the world including Lord of The Rings, The Hulk, Star Wars, Pirates of The Caribbean, Call of Duty, Destiny and Resident Evil. They have held executive roles in several of the largest publishers in the world and also bring in specialist start up finance and games finance experience, having funded over £100m of projects in the past. The Fund Manager will collect a performance fee which will be payable to Origin Venture Partners equal to 25% of returns in excess of the investors’ original subscription amount. The Fund will pay the Promoter and Investment Adviser a one-off investment fee of 3% (2% Promoter, 1% Adviser) pro rata to the investment made in that Investee Company. 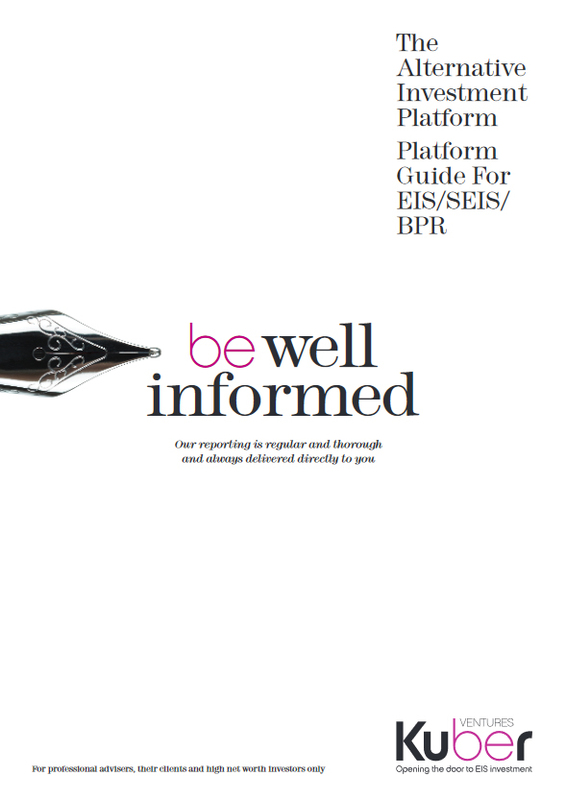 This will cover all of the evaluation and fundraising costs for the Fund, including the costs of marketing, and the issue of this Information Memorandum and all related documentation. The Fund Manager will receive an annual fee of £2,250 per Investee Company payable annually in advance. Annual Custodian charges of up to 0.25% of the amount subscribed to the Fund (charged by the Fund Manager to each Investee Company). The total costs and expenses of establishing the Fund are estimated to be £17,625 which is payable by the Fund. For the avoidance of doubt, the Establishment Costs are in addition to the Initial Fee, Management Fee and the Custodian Fee. Notes: All fees and costs are exclusive of VAT, which will be charged where applicable. The reasonable costs of the Fund Manager and any affiliated entity providing services to the Investee Companies may be charged to the Investee Companies (as appropriate), including legal, accounting, company secretarial, taxation, audit, insurance, administration, transactional, director and all other associated costs. £2.08 per £1 invested (excluding tax reliefs). 5 - 6 underlying investee companies (depending on amount of funds raised and the individual investor’s subscription amount).